Jerry Hicks is best known for the work that he did with his wife, Esther and a group of non-physical teachers that call themselves “Abraham” to share the concept of law of attraction with the world. Together, they were a dynamic team (Abraham-Hicks) that influenced people across the globe. They published nine books, and have taught workshops and classes that are based on principles of the law of attraction and creating an abundant life. You can get a quick video introduction to Jerry, Esther and Abraham below. 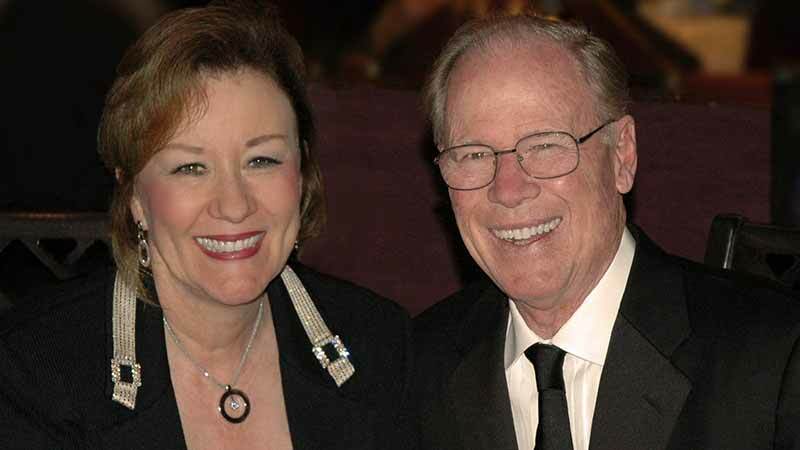 Jerry and Esther married in 1980, and at the time Jerry was experiencing a lot of success as an Amway distributor. He had a varied background, including a two-year career as a circus acrobat and a twenty-year tour as a comedian, MC, and musician. They spent a lot of time travelling around the United States and teaching people about the concept of the law of attraction. Their teachings suggest that we are currently living as an extension of a non-physical reality, and creation happens as a result of our thoughts, and it is possible to create any reality that we desire by simply changing our thoughts and emotions to focus on the things that we are trying to create. Each person is a creator, and the Universe recognizes are intentions and responds to our emotions to create our reality. Focusing on joy allows the creation process to flow, and struggle should not be part of the process. Much of the teachings of Abraham-Hicks focuses on the law of attraction, and Jerry’s wife was included in a documentary film about the law of attraction. The Secret was released to the public in 2006, and it was a huge hit, which helped to launch Jerry and Esther’s career even more. When Jerry Hicks passed in 2011, there was a little bit of controversy over his passing, and many of their followers, known as “Abers” were confused at how someone who was a leading edge law of attraction teacher, living a joyful and successful life, could contract cancer and pass away. In the video below, Esther and Abraham address the topic. Even though he has passed, the inspirational messages that he taught still live on today through the books and YouTube videos that have been shared with the world. During his lifetime, Esther and Jerry Hicks had six of their books hit the New York times bestsellers list, and one of those books made it to #1 on the list within a one-week period of time. Their Youtube videos and meditations have been viewed hundreds of thousands of times, and followers continue to watch the videos on an ongoing basis. Esther Hicks continues to teach the same principles that she taught with her husband for many years, and has even commented about the fact that she can feel him with her while she is teaching workshops and sharing information. Many of the emails that she sends to their list of fans are signed from Jerry and Esther. “We don´t want you to deprive yourself of alignment so much, that than something dramatic has to happen. And we think that pushing through, before you have prepared yourself vibrationally is going the hard way, about it. And it´s the way that almost everybody goes about it. Most people move through their lifes, not in alignment with who they really are – and so, there is an edgyness about almost everything they do – that is UNNECCESSARY.